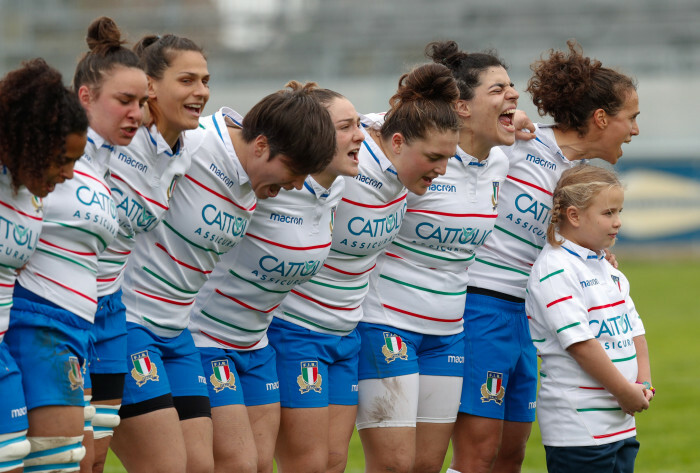 Player of the match Michela Sillari scored 23 points as Italy turned on the style to defeat Scotland 38-0 in the Pata Stadium in Calvisano on Sunday in their first autumn international for four years. The home side were in control from the first minute to the last, scoring three tries within the first 20 minutes and never looking back. They got off to a flying start and, after they were just held up over the try line, from the resultant scrum the ball was fed wide on the left and centre Sillari went over for an unconverted score. That was in the fifth minute and things got worse for the Scots four minutes when second-row Gioradana Duca went over with Sillari converting to make it 12-0. The Scots tried to get a foothold in the game, but they looked hesitant and passes just were not sticking. That invited pressure onto them and the rampant hosts lapped it up, try number three coming from second-row Valentina Ruzza in the 17th minute. Sillari converted and, at 19-0 down, Scotland had a mountain to climb. In the 24th minute new skipper Lisa Thomson and winger Lauren Harris combined for the visitors’ best chance to date, the latter just being forced into touch metres short of the try line. The Scots continued to struggle though and Italy made them pay with try number four in the 32nd minute. This time it was back-row Ilaria Arrighetti bursting through a hole in the defence for a converted score and the visitors simply had no answers. The Scots, no doubt with the words of Munro ringing in their ears, got off to a positive start after the break and full-back Chloe Rollie set-up Thomson from deep down the left. Again the well-organised Italian defence stood firm though. And it was them who scored try number five in the 51st minute, some great interplay by the backs seeing Sillari go over for her second of the day to make it 31-0. Back-rows Rachel McLachlan and Lucy Winter came on for their full debuts, but the pain kept coming and Sillari rounded off a player of the match showing with her third try. Replacement scrum-half Jenny Maxwell was yellow carded late on to round off a miserable afternoon for Scotland. *This was Italy's second largest win against Scotland, Overall Italy have now won 12 of the 19 game between the two teams.